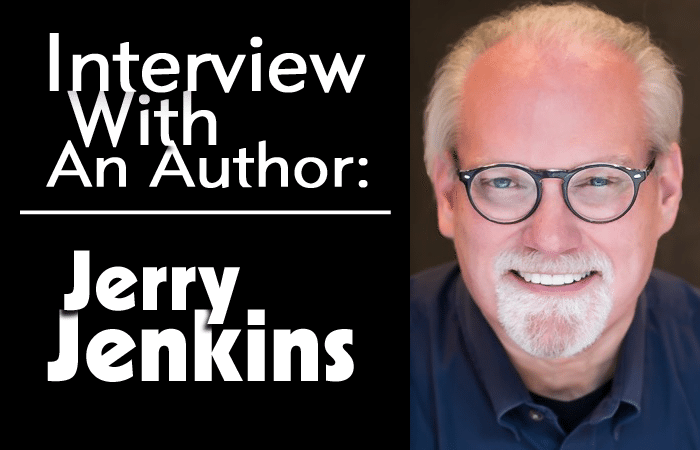 Interview With An Author: Jerry Jenkins - Writer's Relief, Inc.
For over 40 years, Jerry Jenkins has used the art of storytelling to carry life-shifting messages to millions. He’s written an astonishing 187 books, including co-authoring the bestselling Left Behind series. Twenty-one of his books have reached the New York Times bestseller list, and seven have debuted at number one. And Jerry has offered to respond personally to comments, so submit your best questions now! CONTEST: Leave a comment by August 5th, and you’ll be entered to win a copy of Jerry’s book Writing for the Soul! U.S. residents only. This contest is now closed. Congratulations to our winner, Kristy Horine! Thank you to all who participated! I was fortunate to have, in essence, grown up in publishing. I got my start as a sportswriter for a local daily newspaper when I was 14 years old, so I’ve actually been a professional writer for more than 50 years. I was a full-time sports editor by age 19, a magazine editor at 22, and had my first book published at 24. At 31 I became a director of Moody Press, a book publisher that released about 90 new titles a year; so besides being a freelance author on the side, I was running a publishing house—immersed in the industry. By the time I went full time as a writer at 41, I had written nearly 100 books and knew book publishing from the inside. I see social media as seasoning, but not the main course. So it is crucial to “staying connected,” but what really builds an audience is word of mouth about a great book. That’s where a writer’s emphasis should lie—thinking reader-first. Give your audience a great read with immediate benefits: entertainment; memorable, usable nuggets; something they can’t keep to themselves. Procrastination—which may sound insane, coming from someone so productive. Who has time to procrastinate while writing more than 185 books in 40 years? But I am a procrastinator. The secret is to keep deadlines sacrosanct. Two things I learned as a publisher: 1) Only about one in a thousand submissions becomes a published book, and 2) Only about one in a hundred contracted authors literally meets his or her deadline. So, I determined that I would meet my deadlines, regardless. Then I learned that procrastination need not be debilitating. I need not lose sleep and agonize over it, but rather realize that my subconscious is working on the story. If I allow enough time to meet my deadline, what seems like wasted time will pay off when I finally do get to the keyboard and get the writing done. You’ve written a tremendous number of books! Was any book particularly difficult for you? Do you have favorites? Being neither a theologian nor a scholar, I had no business accepting an assignment to try to make Bible doctrine understandable for teenagers. It was not a long book, but I still remember the drudgery of slogging through that work. I was out of my league, in over my head, and whatever other cliché comes to mind. Surprisingly, the fan mail for that book came from seminarians who felt the same way and turned to it when they felt lost in their new environment and just wanted the basics. I do have a few favorites: Novels: Riven, Though None Go with Me, ’Twas the Night Before, Youngest Hero. Nonfiction: Out of the Blue (with Orel Hershiser), Hedges/Loving Your Marriage Enough to Protect It, The Matheny Manifesto/A Young Manager’s Old-School Views of Success in Sports and Life (with Mike Matheny). How did you get your first literary agent? Rick Christian of Alive Literary Agency was looking for a writer for a first-person-as-told sports autobiography, and several publishers and editors mentioned that it “sounded like a Jerry Jenkins project.” So he called me. We hit it off, and while I didn’t land the book in question, we hooked up on his next similar deal. Orel Hershiser’s Out of the Blue became my first New York Times bestseller. A couple of years later, Rick introduced me to Tim LaHaye, a bestselling nonfiction writer looking for a novelist. I wrote the 16-title Left Behind series for Tim. In one sentence, what’s your best piece of advice for getting a book published? Write a great manuscript that says something in a fresh way. 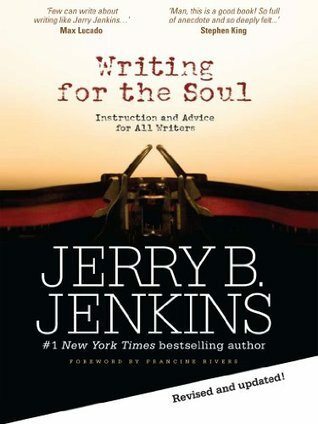 In Writing for the Soul, Jerry B. Jenkins takes you on a personal and inspiring journey, imparting experience and wisdom gained from his extensive writing career. His story reveals the rewards that can come to writers who put in the hard work and keep their priorities straight. Check out Jerry’s website, where he shares advanced writing techniques with authors, or see his top 5 tips for writing a book here! Jerry has offered to respond personally to comments, so submit your best questions now! I have a collection of poetry I’ve written over a number of years. I want to publish the poetry only for a limited number of family and friends in a small book format without going to the so-called self-publishing companies. I don’t want to become famous; I don’t want to sell books. Any advice on the route to take? I have talked to many teachers and professional writers about writing. At the moment I feel myself motivated nbut as soon as I leave that place of meeting, a sort of thoughts dominate my mind and make things difficult. What to do in such a situation. Kristy, I’d start small and cheap. Having been a magazine editor in a previous life (FreeWay, Inspirational Radio/TV Guide, Moody Monthly, Today’s Christian Woman), I can tell you, it’s a tough, expensive business and a hard one at which to succeed. It’s a worthy goal, but do your homework. Find out how many people want one, what they want and need in it, how eager they are to help, what you can put in there from lots of contributors that will make them want lots of copies to show their friends, etc. Don’t count on advertising money for a long time to pay the bills, because advertisers are looking for huge subscriber numbers first, and that will be a long time coming. I’m not trying to discourage you; I just want you to go into this with eyes wide open. It can be a fun venture, but lots of work. All the best with it. Good question, Dee. You’re at a disadvantage, of course, getting into a highly competitive field and feeling as if you don’t have the time to start with baby steps. You do bring to the table years of experience and wisdom, so that’s a plus. I’d urge you to play some fast catch-up, subscribe to a couple of writers magazines, surf the net for all the writers helps you can find, join a writers group with an experienced mentor who’ll give you honest feedback, try to get to a few writers conferences, and most of all exercise those writing muscles every day. You may find that the book you’ve written needs a lot of work (that sounds presumptuous, I know, but years of experience tells me it’s a long shot that a first attempt by a beginner will be market ready right out of the gate). It’ll be up to you to decide whether to overhaul it or to just treat it as good practice and start over. The goal should be to grow into a publishable writer, and there’s plenty of room for more of those, regardless of age. It’s about passion and teachability. Welcome to the journey. Thanks so much for the advice, I especially appreciate the sacrosanct deadline advice. I am a Kentucky freelance journalist, completed the CWG apprenticeship course years ago and just ordered and received the new Christian Writers Market Guide, and am just starting a Christian Writers Group in central Kentucky. There is no Christian print magazine or newspaper in my home state of Kentucky. Any advice on starting one? I find your advice is great for young people, but what is the best advice for a person in their mid-70’s who has written a book? I have done none of the things you suggest, like starting at the bottom, writing for magazines, etc.